Running parallel to the Lausanne-Orthodox Initiative (LOI) is the Lausanne-Catholic Initiative which is exploring the future of relationships between Evangelical and Catholic Christians. 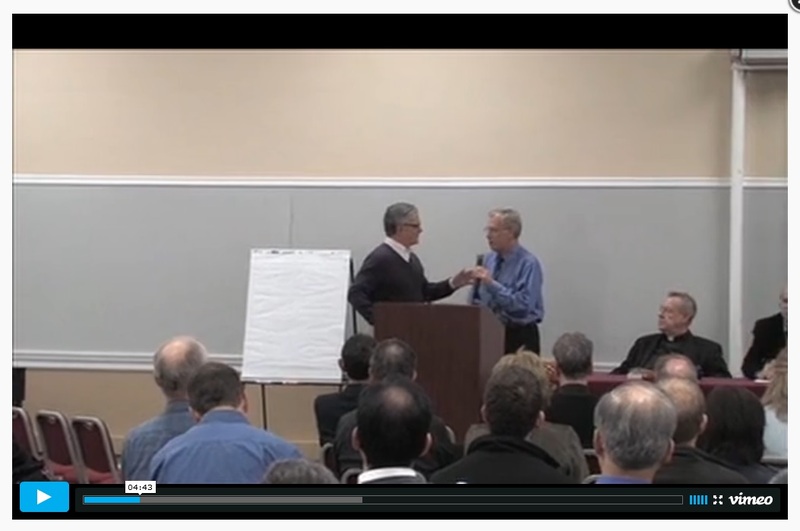 They have recently released three videos of the proceedings at their last consultation in Chicago. You can find these videos (called “Lausanne Conversations 1/2/3” at http://www.act3network.com/videos – but you need to scroll down the page quite a way to find them. The Lausanne-Catholic Initiative will be holding its third consultation, again in Chicago, USA from 2-5 September 2015 – at exactly the same time as the LOI meets in Finland. We will be praying for each other at that time. One of our participants from the 2014 LOI Consultation has just published a review of a very interesting book by one of our 2013 participants. In 2014 Dr. Brad Nassif was sadly unable to join us in Albania but recommended that we invite Tekletsadik Belachew from Ethiopia – a very good recommendation. 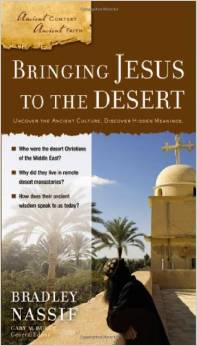 Now Tekle has provided us with a review of Brad Nassif’s book, “Bringing Jesus to the desert” (published by Zondervan, 2012). Copies of the book can be ordered from Amazon USA, Amazon UK or good bookshops. 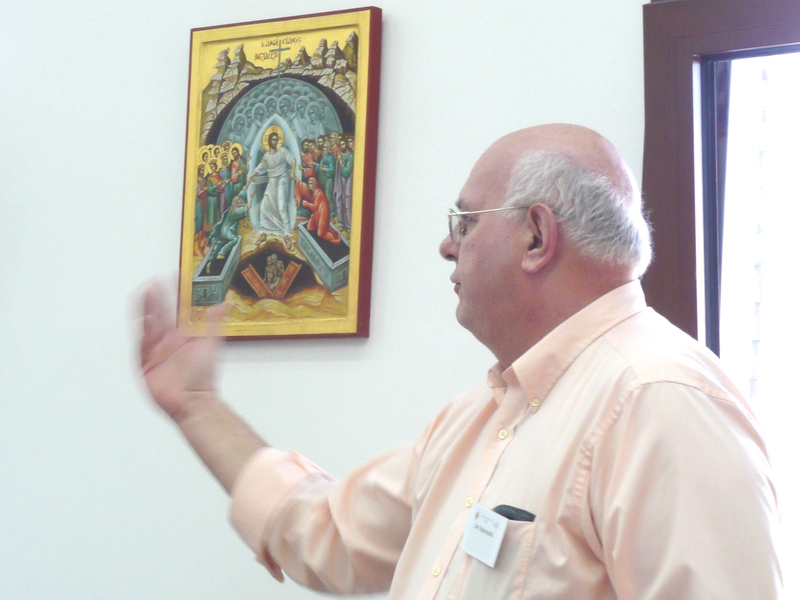 The LOI Steering Group will meet at the Coptic Centre in Stevenage, UK, from 19 -21 January 2015. The two major issues before them will be the future work of LOI after 2015 and the planning of the 2015 consultation in Finland. The first of these topics is particularly critical at this time. It was never envisioned that LOI would be simply a series of consultations. The 2015 Consultation in Finland, our third, is likely to be the last global consultation (at least for a few years). With a growing international movement it is now very important that we find the right way forward, either through regional groups and consultations or in other ways, to strengthen and grow the movement. The Steering Committee is seeking prayer support as it meets and works on these issues. 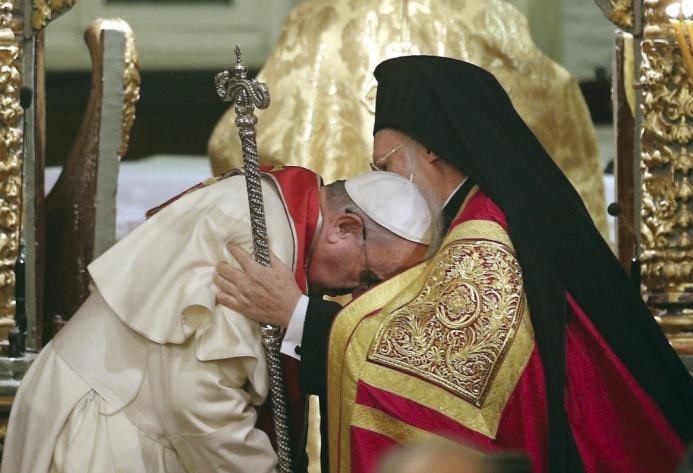 As those of us within LOI seek to discover appropriate ways forward for Evangelical and Orthodox Christians in mission we are encouraged to see that Orthodox and Catholic leaders are also discovering new ways to seek each other’s blessing as illustrated by this recent photograph of the Ecumenical Patriarch Bartholomew and Pope Francis. The Bible Society of Russia has announced the completion of a ten year project to translate the Bashkir Bible – project jointly undertaken by Orthodox and Evangelical Christians. The Bashkirs are descendants of the tribes that used to lead nomadic life in the southern Urals and were established as a nation in the 9th century. The Bashkir language is the official language of the Bushkortostan Republic, part of the Russian Federation, although it is also spoken in many other parts of Russia and Central Asia. It is estimated to be the mother tongue of 1.6 million people and this will be the first time that they will be able to read the Word of God in their own language. Textual checking contuinues but publication is expected later this year. The Bible Society of Russia reports that, “The written Bashkir language was developed in the 10th century on the basis of the Arabic alphabet. The first written sources that have reached us also date back to that period. 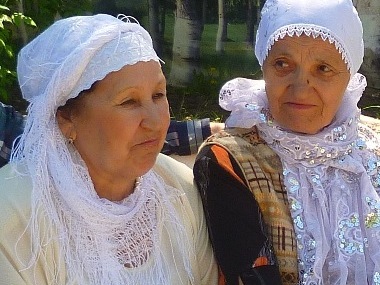 There is rich literature written in the Bashkir language, including both fiction and socio-political, educational and methodological works; many newspapers and magazines are published and radio and television programmes are issued in Bashkir. In the national schools teaching is conducted in Bashkir. This language is also quite widespread in everyday communication.